Imagine waking up each morning to spectacular views of the Sangre de Cristo mountain range and beautiful Eagle Nest Lake! Eagle Mountain Lodge, nestled in the tall Ponderosa pines, is tucked in the foothills of Wheeler Peak, the tallest mountain in New Mexico. It rests on 40 beautiful acres of woods and meadow. 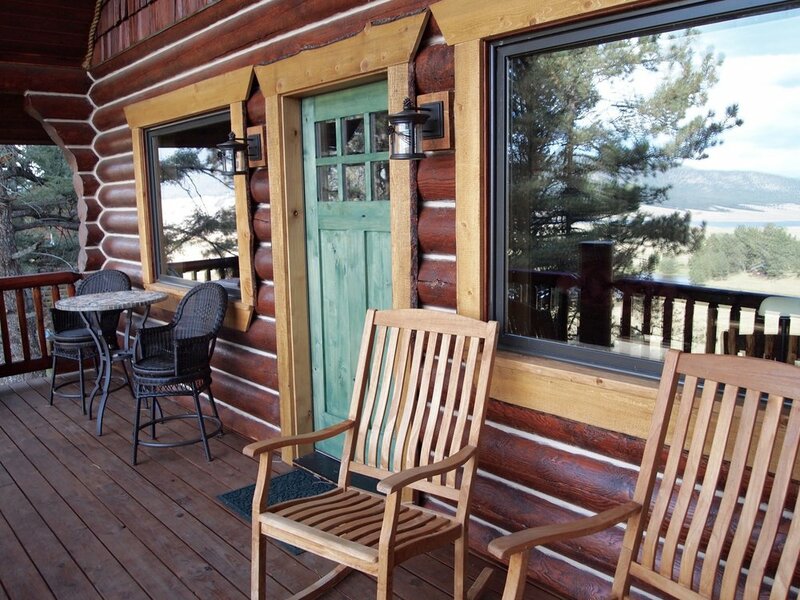 At Eagle Mountain Lodge our guest cabins are a quiet and comfortable place for reflection and intentional soul care. Each guest cabin is furnished with a king-sized bed and linens, fully equipped kitchen or kitchenette, and full bath with towels. You’ll love these cabins! The entire facility can also be arranged for group retreats, comfortably sleeping up to 12 people individually. Please contact us for more details regarding group stays. Get away to the mountains of Northern New Mexico! Throughout the year, we offer group retreats and workshops with unique and interesting content for those seeking a deeper experience in a small group setting. Sometimes you just need a place to go to get a fresh perspective and/or get your creative flow going again. So, whether you are a writer looking for a good space to finish a book or you are wanting to take inventory on your life and relationships, Eagle Mountain Lodge is the perfect change of pace and place! Bring your retreat to the beautiful mountains of Northern New Mexico. Simply show up with your content and people and we provide the rest! We invite you to come away, to be still, to breath, to relax and allow space for your soul!